Traditionally there are two ways you can dry clean curtains. The first and by far the biggest hassle involves taking the curtains to the actual dry cleaners. This basically means you have to get a ladder out, unhook all the curtains and while you do this you break a few hooks, after this you must take them to the dry cleaners where in London you get charged an absolute fortune. As well the actual cleaning can take up to three to four days and that basically means you have no curtains to keep the cold or the neighbours eyes from prying in. 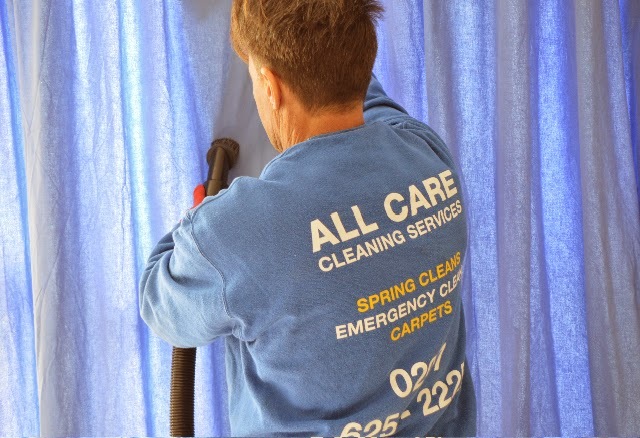 The method All Care Cleaning uses is to actually clean the curtains on-site. Firstly, we put a ground sheet down underneath the curtains and using a special industrial hoover we actually industrially vacuum all the curtains from top to bottom and on both sides. After this the curtains are sprayed dry cleaned on both sides and any lose dust or marks is cleaned away and then we again re-hoover the curtains. If you look at your curtains now and they need to be re-freshed or sanitised and you live in London just give us a call on 020 7625 8888. 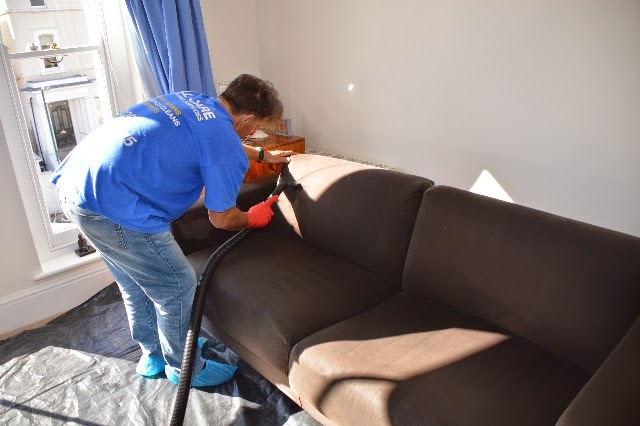 Traditionally we use three different upholstery cleaning methods when cleaning upholstery.........Either steam cleaning, dry-cleaning or hand shampooing. In this post I will be talking about hand shampooing. 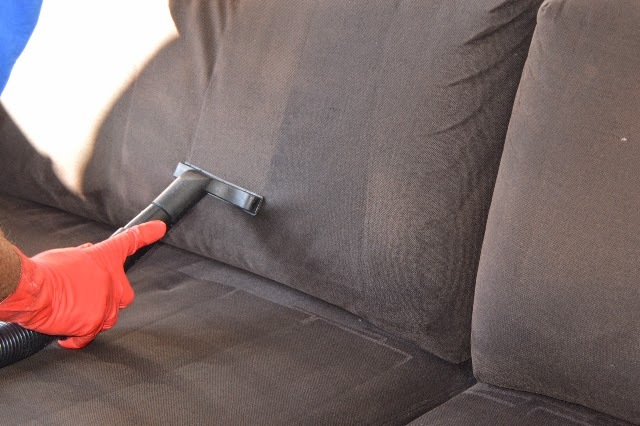 The first thing that must be done is to actually lay down ground sheets and then industrially hoover all the upholstery to remove all dust, hairs, fluff etc. After this has been completed it is necessary to spot treat any bad stains. Basically, we are using a high density industrial dry foam shampoo which works wonders on upholstery and stain removal. 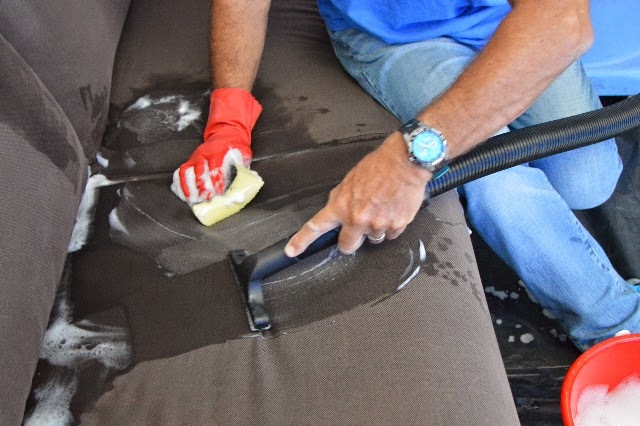 Once all the stains have been removed you shampoo clean all the upholstery, back to front and from top to bottom. 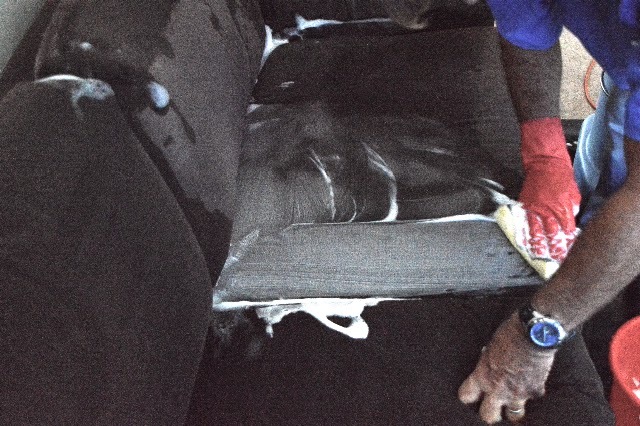 It is really important to only use the foam from the shampoo and if this is adhered to there will be hardly any water on the upholstery fabric. Finally using the industrial hoover vacuum all the upholstery to get rid of any excess water, the industrial shampoo and all the broken down dirt etc. The upholstery will dry within 4 - 6 hours under normal temperatures. 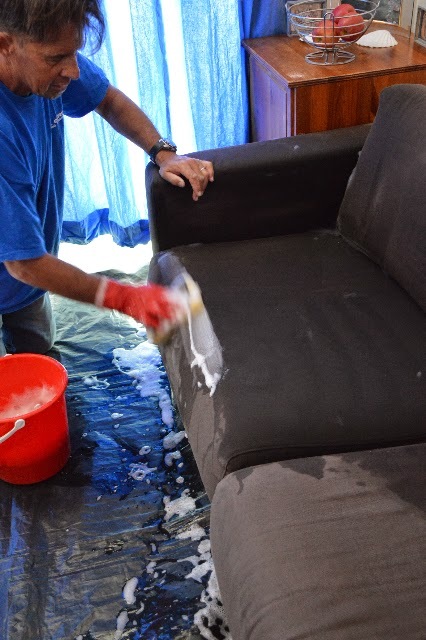 If you ever need any help with your upholstery cleaning please do not hesitate to call the experts! 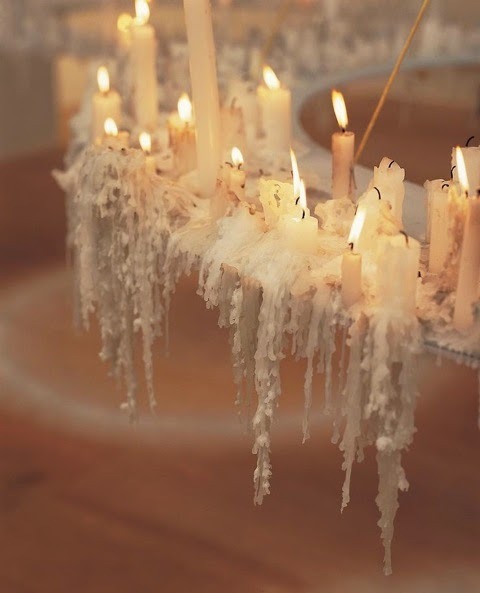 You would have all seen the beautiful sight of lit candles glowing in the dark in someones room. which is carefully ironed over a big normal brown envelope. (Oh, you need a brown envelope too). What happens is the envelope is placed over the candle wax stain. 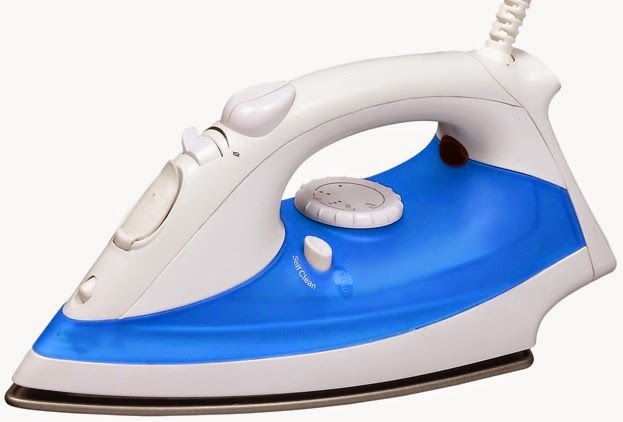 Then with the iron at a temperature where it is not obviously burning the envelope it melts the candle wax. This melted wax is then absorbed into the paperwork of the envelope, (you may need a few envelopes, depending on the size of the stain). Due to the warmer temperatures we have noticed a marked increase in the number of builders cleans that we are undertaking. 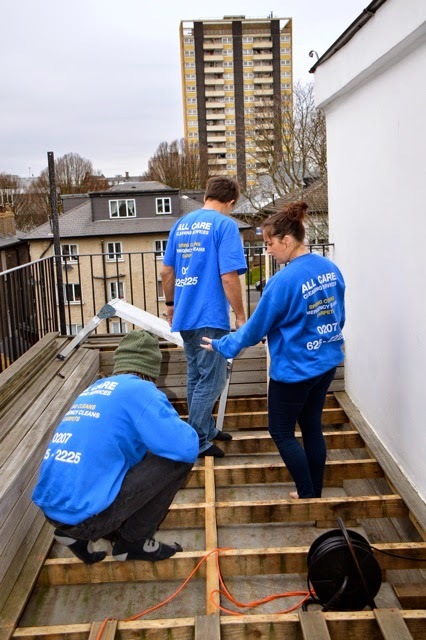 These builders cleans are most noticeable in Acton, Fulham and the Hammersmith areas. I guess it is that time of year where home owners are building decks, getting house extensions etc. If you have some builders in and there is an extreme amount of builders dust around that you need removed please check us out and have us in mind for your next job. 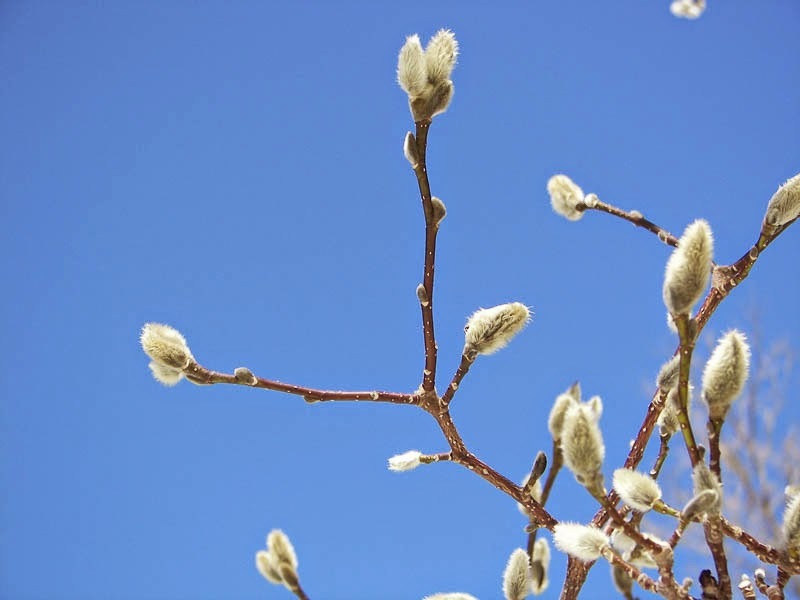 Even though with this weather we've had lately it does not feel like spring with daylight saving coming into effect last weekend and the buds beginning to come out on the trees that spring feeling is just around the corner. With that we are now going to enter one of the busiest times of the year in terms of cleaning. Basically customers suddenly want all their houses, homes and flats cleaned and the amount of end of tenancy cleaning seems to increase. Spring Cleaning is definitely in the thoughts of many home owners. For more information check this out.